Readers.com™ retired this style. We've gathered a few similar styles we think you might like. You may also call 1-800-210-3975 and our Customer Happiness team will assist you in finding a similar style. Pick up the hottest trend in eyewear with our Tamara cat eye reader. 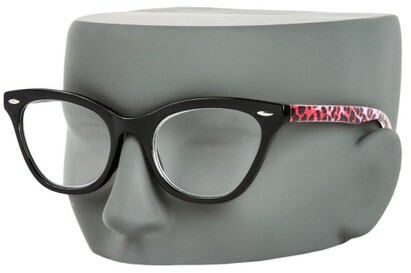 This lightweight style has a retro frame with metal accents, and comes in a variety of animal prints.